This suite is a classic and timeless look. Perfect for a formal or black tie event. 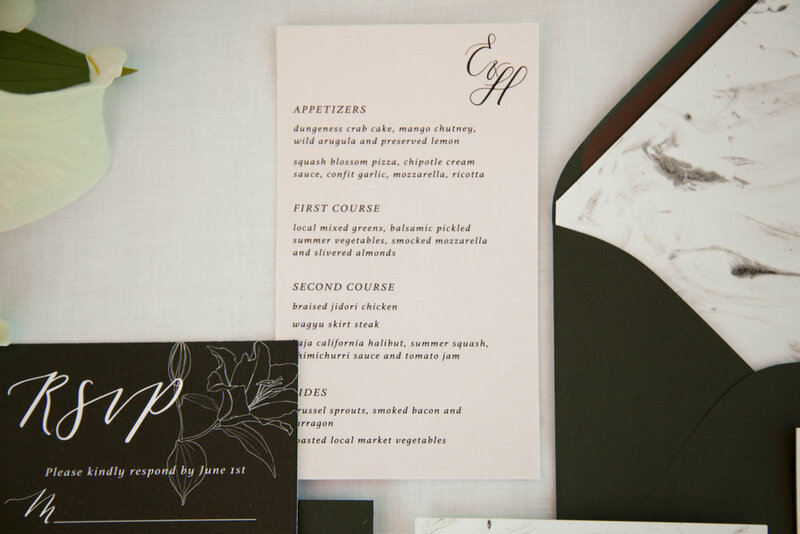 The main invitation is printed on sheer velum paper and placed over original marble design.